Please refer to our stock # CER-012 when inquiring. 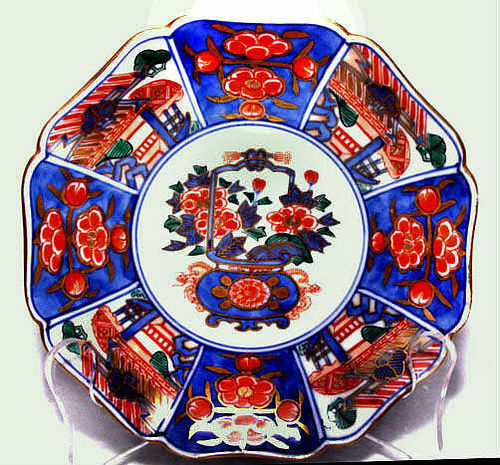 A set of six plates with a central floral arrangement in a dragon flanked base surrounded by eight alternating panels of florals and scenes. The back is signed in Chinese style referring to the Ming Dynasty. Age: Late Taisho Period. Size: Diameter. 12.3cm. Condition: Perfect.